Continuous improvement is at the heart of John O’Conner, and that is demonstrated perfectly by our range of lawn maintenance services. The lawn can be the centrepiece of any property, from university campus grounds to commercial housing developments, public parks or leisure spaces. But without a regular and attentive maintenance schedule, a lawn can only do so much. 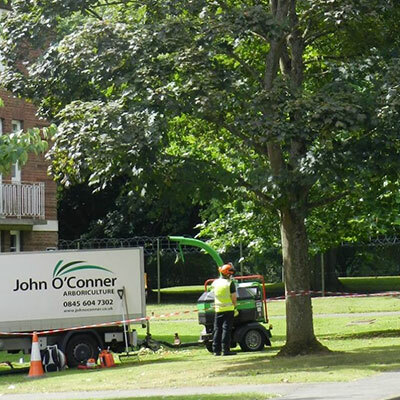 The team at John O’Conner provide extensive turf, grass and lawn maintenance works to establish new, thriving grass space as well as revitalise existing lawns, which may have degraded over time. We tailor our work to your requirements. From meticulous grass cutting and lawnmower services to attentive lawn treatment and grass reseeding, we can bring your outdoor space back to its best. John O’Conner also carries out a full turf laying service; our trained personnel will survey your premises and select the most appropriate turf for your property before laying your turf with complete professional care. For more information on Turf, Grass and Lawn Maintenance contact us today.